Amid mounting debate over the use of orcas and dolphins in captivity, at least one major travel provider has scrubbed them from the itinerary. The German division of Touristik Union International (TUI), one of the world's largest tour operating companies, has announced that it will no longer offer trips to dolphin and orca shows -- a move lauded as a major win for cetaceans, and a significant blow for the industry profiting from their captivity. 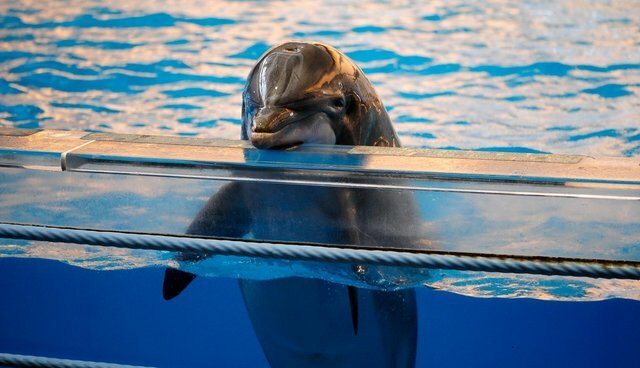 According to the newspaper Die Zeit, the German-based tour operator, which offers dozens of travel packages to numerous international destinations, made the decision to cancel all trips to marine parks and dolphinariums after meeting with representatives from the Whale and Dolphin Protection Forum (WDSF). Jürgen Ortmüller, CEO of WDSF, hailed the policy change as a "great success for animal welfare" which may help bring captivity shows to an end. "The decision of the tour operator is also a big blow to the dolphinarium industry around the world," adding that the revenue lost from TUI's ban on dolphin and orca shows will significantly dampen the revenue stream of facilities that host them -- hindering their ability to buy more animals taken from the wild. Ortmüller adds that the decision was made "against the backdrop of the dolphin drive hunts in Taiji" where dozens of dolphin calves were stolen from their pods, likely to be later sold into captivity. Currently 99 facilities in 19 different countries house dolphins taken from Taiji.